One of the world’s most famous large-scale disasters was the maiden voyage of the British passenger liner RMS Titanic, which sank to the bottom of the Atlantic Ocean in a shipwreck that killed more than 1,500 passengers and crew. Nearly every student and film enthusiast has either heard the story or seen the movie, making the deadly nautical disaster both one of the biggest peacetime tragedies of the 20th century and one of the most famous. It would stand to reason that, with the grim history behind the massive liner and its name, few would dare board a replica a century later. But thrill seekers everywhere will potentially get that chance within the next five years—and even for the most superstitious among us, it’s a pretty tempting-looking adventure. 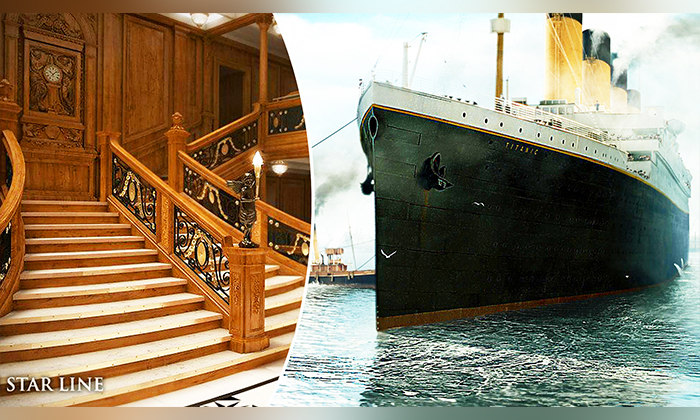 Australian billionaire and cruise line chairman Clive Palmer is the brainchild behind the “Titanic II,” which is currently projected to set sail from Dubai some time in 2021. She’ll arrive at Southampton in time for a 2022 maiden voyage, exactly 110 years after the first Titanic went to cross the ocean, and the ship will be a near-identical replica to the original Titanic, with a capacity of 2,500 passengers who will get to experience a cruise experience just as the original passengers had hoped to. In an almost eerie parallel to the original ship, the project has hit a handful of obstacles since first being announced in 2012. Financial disputes with the Chinese manufacturers working to build the ship left the project seemingly dead in the water, crushing a controversial yet exciting-sounding dream hatched in the era of limit-pushing and past-era nostalgia.